Former EBSA head Brad Campbell notes another potentially "significant" problem of DOL plan is requiring advisors to purchase "fiduciary insurance." 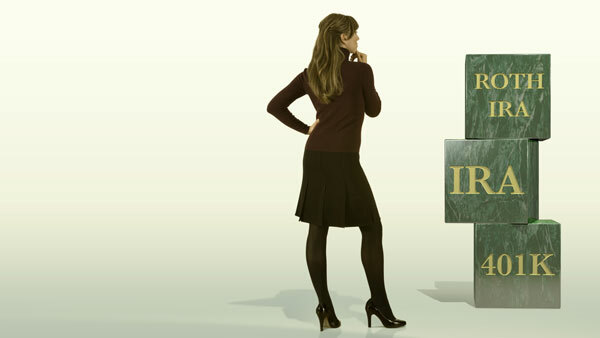 Many small-business retirement plans are built around IRAs. The Department of Labor’s plan to revamp the definition of fiduciary under ERISA would impose new compliance costs and legal liabilities related to two of the most popular retirement savings vehicles for small businesses, according to new research by the Chamber of Commerce and ERISA attorney Brad Campbell. The paper, “Locked Out of Retirement: The Threat to Small Business Retirement Savings,” was authored by Campbell, the former head of DOL’s Employee Benefits Security Administration, who is now counsel at Drinker Biddle & Reath, along with the Chamber’s Center for Capital Markets Competitiveness. More than 9 million households own IRAs as a result of these small employer-provided retirement plans, the research says. Many small businesses cannot offer 401(k) or similar “traditional” retirement plans because of administrative complexity, costs or eligibility requirements, and instead offer simplified, basic retirement plans built around IRAs — like SEPs and SIMPLEs, the research notes. Campbell noted that these plans are also attractive because plan sponsors do not have to file the ERISA disclosure Form 5500. The DOL’s proposal “would adopt a broad definition of fiduciary ‘investment advice’ encompassing ‘sales’ communications, certain educational materials, and other situations where no intention to provide individualized fiduciary advice traditionally has been expected,” the research states. DOL’s proposed regulatory expansion of who’s a fiduciary would “change the rules governing how financial advice is given to $472 billion in small employer-provided retirement plans,” the report states. Campbell also noted the problems with DOL’s Best Interest Contract Exemption. While DOL has stated that the best interest contract exemption within its plan “will preserve [advisors’] traditional compensation and therefore minimize problems,” Campbell said, “the reality is [that] advisors … would still have to make very significant changes to their compensation structure” under such an exemption.Changing their compensation structure along with the “tremendous amount of disclosure requirements” under BICE and the fiduciary insurance requirement amount to “quite a significant change,” he said.